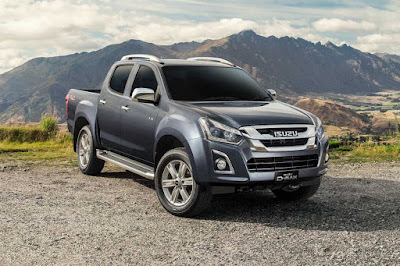 According to data released by one of the world’s leading classifieds platform, OLX, if resale value is an important consideration in purchasing a car, go for a pickup truck. Based on a sampling from OLX’s second-hand car listings in the Philippines from August 2017 to August 2018, it takes 5.10 years for a vehicle’s SRP to get slashed to half. 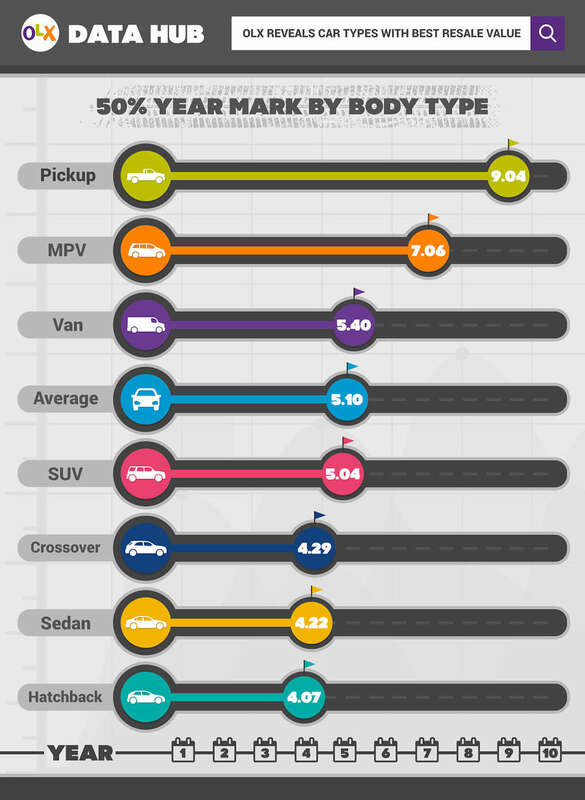 However, pickup trucks, MPVs, and vans take much longer—as much as 9 years—before they lose 50 percent of their value. Car buyers looking for 7-seaters should consider MPVs over SUVs if they want a vehicle that doesn’t depreciate fast. Compared to SUVs, MPVs keep their value longer: 7.06 years before they lose half of their SRPs compared to 5.04 years for SUVs. OLX’s data also shows that on average, three-year-old vehicles retain 62 percent of their SRPs. 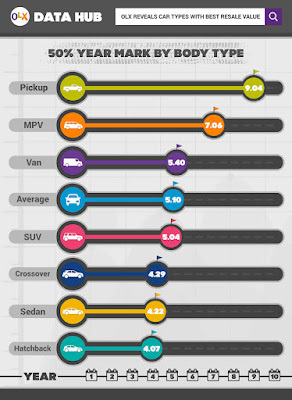 When automobiles reach their fifth year, they keep 52 percent of their value. On the 10th year, the vehicle’s value becomes 33 percent of their original SRPs. In addition, OLX has found that Mitsubishi, Isuzu, Nissan, and Toyota vehicles do not depreciate as fast as other brands. It takes Mitsubishi and Isuzu vehicles an average of 6.03 years before their price reach 50 percent of their SRP. Nissan-badged vehicles take 6.02 years before they lose half t of their value, while Toyota cars take 5.89 years. It is important to note though that just because a particular brand cuts its SRP by 50 percent earlier than average doesn’t mean it’s a substandard one. One of the factors that can affect a car’s depreciation is demand. The desire for vehicles bearing the badge may not just be as high as the other brands. In addition, owners of these vehicles may be keeping their cars longer and sell only when the cars are older. Hence, the listings under these brands have relatively lower value compared to other marques. OLX Philippines connects millions of Filipinos to buy and sell brand-new and used items, including automobiles and motorcycles, Every month, around 45,000 vehicle listings are posted on the OLX platform. More than 1.4 million users log in to OLX monthly to check out the cars available or to post one for sale.